Investigation shows MNGA International partners appear nonexistent, defunct or unviable. MNGA co-founder Bo Linton partner Albert Reda jailed for fraud. MNGA auditor was just barred by SEC for “falsified and backdated audit documents” among other misconduct. MNGA insiders fail to file SEC filings or hold shareholder meetings in timely fashion. Santilli family related party enrichment abounds with $14.1m+ of insider compensation, ~12x more than spent on R&D, Santilli family seized total control over MNGA through convoluted preferred share voting rights. 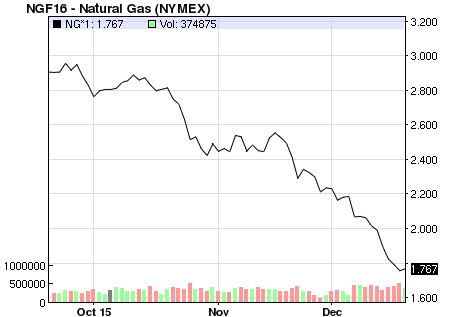 Tests show Magnegas -30% slower, 26% more expensive. Praxair now selling demonstrably superior product nationwide. Santilli and MagneGas apparently failed in 1998, resulting in legal action and no strategic buyer. Despite 9+ years of failure, 1,100%+ dilution and -$32m of losses, with recent paid stock promotion MNGA temporarily inflated to unsustainable 113x revenue valuation. Insiders aggressively selling stock. 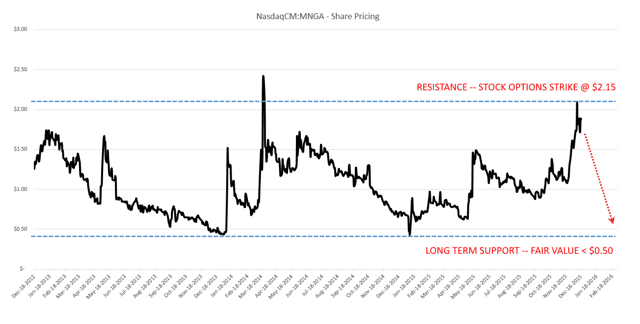 I believe Magnegas (NASDAQ:MNGA) is an imploding paid stock promotion shell of insider enrichment and hype with immediate -92.90% downside risk. With a stock shell purchased for $32,000 and cumulative total R&D spending of $1.18m, this team of calculated wipeout artists have carefully orchestrated a clever “reboot” of a failed 1998 penny stock story with obsolete and unviable technology while paying themselves $14.1m, ~12x more than has been invested in R&D. Through a convoluted and under the radar preferred share structure, the Santilli gang have apparently seized complete control over MNGA and can do whatever they want now without recourse. With paid stock promotion using some of Wall Street’s worst paid touts, MNGA stock has temporarily managed to rise +344% to the obviously unsustainable valuation of 113x 2014 revenue or $120m. Investigation of MNGA’s claimed offshore partners shows unviable, nonexistent or defunct company shell. 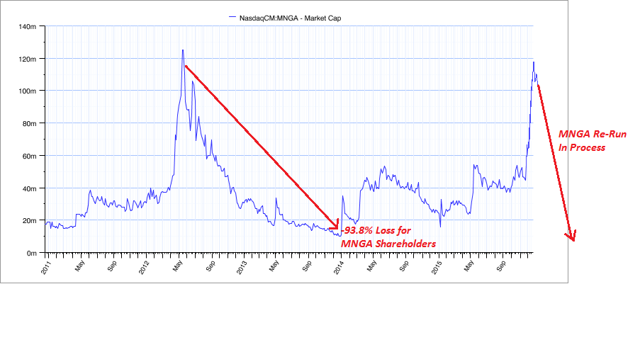 The last time MNGA hit a similar $120m valuation the stock price immediately imploded as shareholders experienced a swift and uncompromising -93.8% stock price decline. Even if you assume MNGA is a legitimate company run by people you should trust with your savings, the current valuation of 113x trailing revenue means the stock is still -92.9% overvalued using a “best case” valuation. Simultaneously, global cutting gas juggernaut Praxair apparently “passed” on MagneGas years ago when it was available for virtually nothing and instead is now aggressively marketing their next gen “StarflameC” cutting gas nationwide, which is estimated to cut ~20% faster than MagneGas while costing at least -50% less with many other benefits. Meanwhile core MNGA patents issued at company inception are expiring soon, rendering any hope of long term upside a moot point. Further confirming this view, MNGA insiders are aggressively dumping their stock into the temporary stock promotion despite MNGA insider history of failing to disclose their trades to the SEC on a timely basis. Without further diluting shareholders, MNGA will go bankrupt as cash burn and losses continue to accelerate. In this report I will outline the true nature of MNGA, what is going on behind the scenes, deep due diligence into their partners and how this unviable business has managed to stay alive. Pour yourself a very tall glass of warm gin and bring your patience for this incredible blueprint the Santillis have managed to perpetuate so far. All research and opinions based on public info shared below for the public’s good to help you in your due diligence. 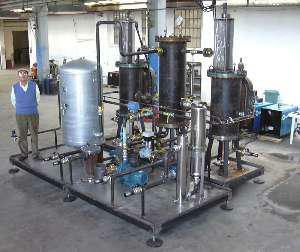 Apparently Ruggero was hired at MNGA’s forefather company Florida founded “Earthfirst” in 1998 which touted a purported familiar sounding “revolutionary process” for producing syngas from waste, antifreeze and used motor oil with their plasma reactor technology which could be transported onsite. 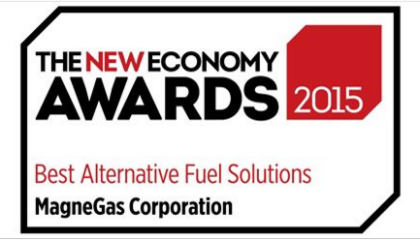 This gas was attempted to be sold into the welding market under the name “NextGas” at the time where they claimed a huge commercial production facility for their gas with claims it was 40% faster/cleaner/safer based on a higher hydrogen content while their stock traded on the OTC markets under ticker “EFTI”. They claimed applications in the utility markets and even signed questionable JVs with far off utility partners in Dominican Republic as they racked up -$50m in losses. After ~3 years of employment, it seems starting in 2001 Santilli’s relationship with Earthfirst ended badly with Earthfirst accusing him of libel and violating his non-compete contract (bottom of page 23 on the newspaper page 7b) where a Hillsborough judge seems to have granted Earthfirst a temporary injunction. At “Earthfirst”, insiders took egregious compensation for themselves, losses piled up as the concept proved an unviable failure as shares outstanding ballooned with endless dilution. Eventually this first Santilli company collapsed around 2006 with their unviable product which, tellingly, no big partner or company stepped in to buy for pennies when it was available for practically nothing. Despite already failing once and Earth First now officially gone, the same unviable idea was free to be rebooted in 2007 by Ruggero. As a result, MNGA was co-founded by Ruggero with penny stock wipeout master Bo Linton using a defunct stock shell they purchased for $32k in cash. Thus, MNGA was born touting the claims of “MagneGas” again but with some deliberate and interesting twists. To understand what the MNGA game plan was from the start we can look into the founders to gain insight. MGNA co-founder Bo Linton’s bio states he “led the development of the business plan” of MagneGas and also owned 15% of MNGA stock. Unfortunately, Bo Linton’s career of wiping out penny stocks was so prolific he has drawn comparisons to Jordan Belfort, the Wolf of Wall Street. I will present a brief history here but I recommend you dig into this MNGA co-founder on your own as the story is amazingly bad in my view. As further color on Bo Linton and who he has partnered with, his apparent longtime business associate Albert Reda is interesting. Albert Reda was apparently involved in no less than 3 penny stock companies (Steriwave-GDT Tek, Carbon Jungle, and Kleangas Energy Technologies). 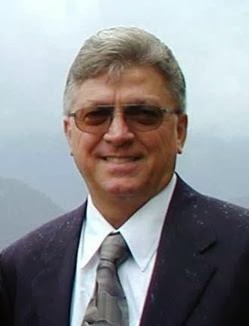 In November 2013, Albert Reda was found guilty of wire fraud and mail fraud and sentenced to 26 months in prison for his involvement in a “fraudulent scheme” with penny stock companies and secret kickbacks. When entrusting your money to speculative small cap stocks it is vital you understand the people you are entrusting your money to. I believe the Santilli family and their surrounding crew are some of the worst penny stock wipeout artists in America today. Ermanno P. Santilli is Ruggero’s son, and the CEO of MagneGas. Luisa Ingargiola is the company’s CFO and is Ruggero’s daughter. Luisa’s maiden name is Santilli according to her bio. Carla Santilli is Ruggero’s wife also and a director at MNGA currently as well. 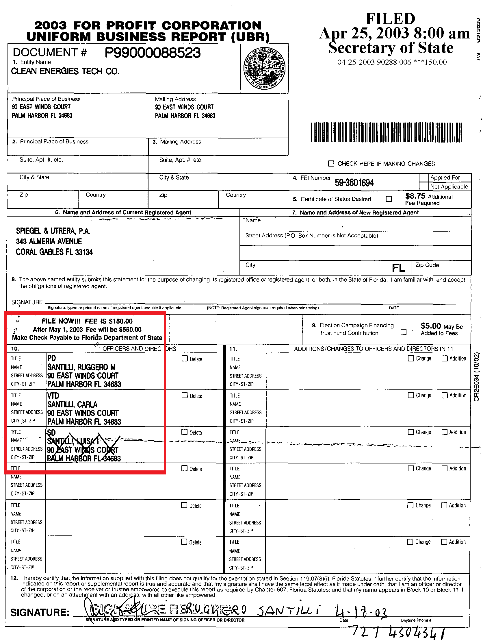 Official FL company records show Ruggero, Carla and Luisa Santilli were all in on this from the start with “Clean Energies Tech Co” listing them all on corporate documents from even as far back as 2003. A deeper look into Ruggero Santilli’s background reveals endless bizarre stories of events and behavior including Santilli apparently claiming to have invented a new kind of water as well as being “disrupted” repeatedly by Jewish scientists whose religion is highlighted specifically. I personally found Ruggero’s background as detailed by Pepijn van Erp to be extremely confusing as I evaluated MagneGas, and everyone may want to read Pepijn’s thoughts and opinions to form their own conclusion. To see how Santilli penny stocks typically end let’s look at the other disasters this family have been involved with. Ruggero Santilli was involved with Thunder Energies Corporation (OTCPK:OTC:TNRG) where Carla Santilli, Ruggero’s wife, was also involved, where I estimate the stock has been a disaster falling -86.2%. 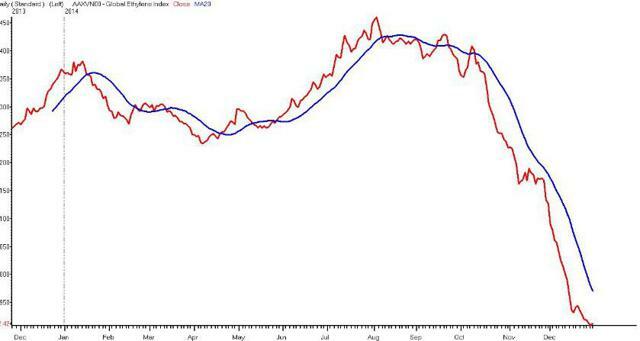 Why have so many Santilli investments ended so badly? 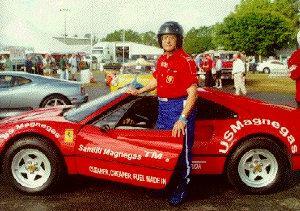 What are they doing with this new penny stock shell “Magnegas”? In just the past few years I estimate MNGA insiders have managed to pay themselves over $14m so far. To put this into context, over the same time frame TOTAL R&D investment has been $1.18m. Also interesting the INCREASE ALONE of 2012 “investor relations” expense was $200k, while TOTAL MNGA revenue since inception is just $6.8m. Just named executives alone have taken an estimated $4.45m for themselves not even including 2015 compensation or profits on stock sales. I estimate of that, a full $2.8m has been in CASH without even including any weird consulting agreements or other payments which may be going on. Meanwhile, you will see something I find both confusing and offensive in the latest 10-Q. Apparently through a convoluted Series A preferred structure issued to an entity controlled by Ermano, Ruggero, Carla and Luisa Santilli they granted themselves 1m preferred shares each with 100k votes, so now they can exert dictatorial control over this public shell and shareholders can do nothing about it! How is this possibly fair for shareholders or possibly reasonable? Now that we understand what MNGA truly is, let us understand how it is possible this financial vehicle even exists and funds itself. MNGA is one of the most highly promoted stocks I’ve ever personally seen as the company has executed an all-out media blitz to generate buzz around MagneGas. 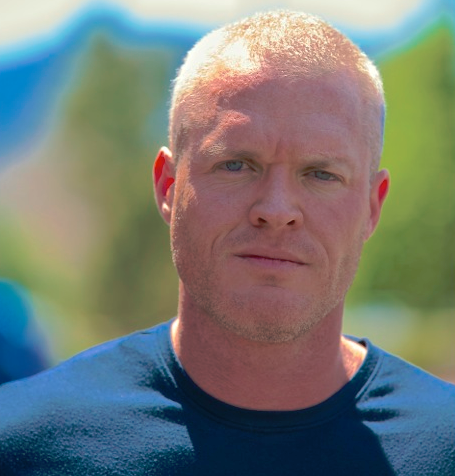 At one point the company even signed former NFL player Mike Alstott to create “product awareness.” Interestingly, when ex NFL player Jack Brewer also got involved with MNGA it was claimed he was a “UN ambassador” which is not exactly what I see on his LinkedIn…. These amounts are simply astonishing when you remember MNGA has spent an average of $136k total per year on R&D while the Investor relations expenses increase alone in 2012 was $200k. For example, such questionable teams as “OTCBB Journal” are ironically touting themselves as small cap stock market protection at the same time they are being paid to tout MNGA stock. One interesting thing you may find interesting is to look at the dates of the paid stock tout campaign above and then look at the ~$1m worth of stock Carla Santilli and MNGA insiders have just recently sold so far. I would note the most recent stock sales by “Global Beta” and Carla Santilli at $0.95-1.37 are some of the largest insider sell transactions to ever occur at MNGA. Paid stock tout campaigns basically always end in horrific and sudden losses, which is why it is my opinion that no legitimate company should be involved with paid stock promotion, which consistently ends with retail shareholder wipe out. Does everyone else who holds MNGA stock know this is going on while Carla Santilli is dumping stock? MNGA Insiders Appear to Routinely Fail to Report Their Transactions with the SEC on Time? There has been excessively high volume in MNGA stock recently. Given that insiders historically have not reported their ownership positions in a timely manner, how do we even know that insiders haven’t already liquidated some or all of their stock at these temporarily high prices? SEC form4 filings are also typically short and simple 1-2 page template filings so I am confused on how or why anyone could repeatedly fail to file them on time. Other types of promotion: Buying your own award? It is important to remember that MNGA only survives, and MNGA insiders only get rich, if the stock stays high which requires that someone keep buying it. We can see from the shareholder list that no intelligent institutional investors have fallen for the MNGA story. What is happening with MNGA and all these bottom-tier paid stock promoters temporarily touting the stock? What investors would possibly support this insider enrichment escapade? As you can see above, the vast majority of MNGA stock is being purchased by unsophisticated retail investors who typically do not have the resources or time to perform true institutional levels of due diligence. I think you may be beginning to see why MNGA is so desperate to keep their stock up at all costs, because when these retail investors decide to stop effectively donating their savings to MNGA insiders through offensive warrant agreements, the MNGA house of cards will implode (again), just like predecessor EarthFirst (OTC:EFTI). SEC filings show a huge number of warrants held by MNGA insiders and where those warrants strike. For these warrants and options to be valuable, MNGA stock needs to trade above the stock price. If that happens warrant holders can exercise, that cash goes directly into MNGA coffers, and the warrant holders can dump their stock onto whatever retail shareholders are buying into the hype. With the warrant strike prices laid out, what was necessary next was to get the stock up to get money. With the minefield of warrants laid out the last piece was to run retail investors into it so the warrant holders can exercise and dump their stock onto someone, and “BOOM” MNGA now has $5m in cash! Institutional investors have clearly not fallen for the MNGA story so the only option left was the path MNGA stock has taken, and I believe a huge number of retail shareholders have been led to their financial demise in this minefield of MNGA warrants being exercised and sold into the market. The retail shareholders were led by promotional press releases and paid stock promotion into this situation and are now holding MNGA stock temporarily inflated to an obviously unsustainable valuation. MNGA now has what they want, their ~$5m in cash and I think we all know how this story ends now. We can all agree that with tiny and speculative penny stocks, the quality and trust of the people controlling the company is of utmost importance. Capitalism is littered with the corpses of decent products run into the ground through bad or greedy management and with 10K+ stocks you can invest in there is no reason to invest in these kind of disasters. MGNA’s Partnerships: The Story Really Starts to Unravel Bad Here…. At this point I would like to remind you that MNGA makes lots of grandiose partnership claims but unfortunately once further research is done the cracks quickly appear in their story. For our first example, MNGA just announced a much touted partnership with a Sierra Leone company “Masada” and MNGA stock temporarily soared adding millions of dollars of valuation. Upon further diligence on Masada though, serious issues arise. Primarily that Masada does not appear to have any significant MagneGas (any?) operations, no phone number and no address. 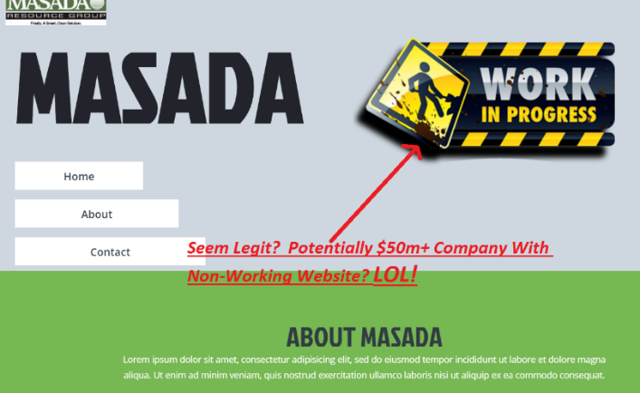 How can MNGA possibly expect investors to believe this is a viable and real partnership expected to drive profits when the company doesn’t even have a phone number or useful website? 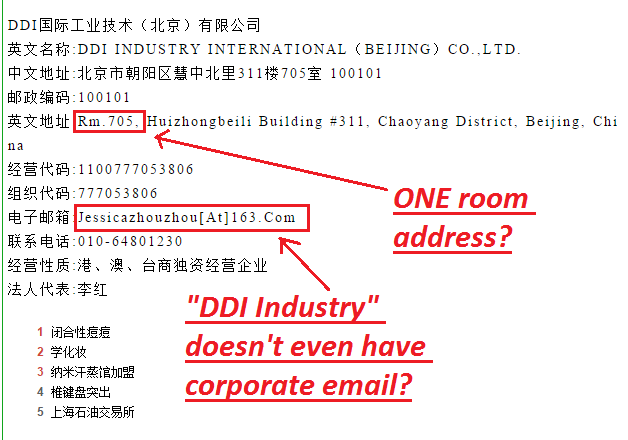 Then Chinese business profiles show that DDI’s representative uses a @163.com email address, this is a personal Netease email and in my view is analogous to claiming the contact info for a huge global company is an “@aol.com” personal email address. If you look closer at this link you’ll see that the “DDI Industry International (Beijin) Co., Ltd” address is actually so specific as to be limited to a single room in one office. So apparently this theoretically thriving, huge global business is so successful it doesn’t even have corporate email and is so successful is it apparently relegated to a single room? Further giving you confidence that the entire DDI is contained in one single room, is not a mistake, this address is repeated in multiple places from Panjiva to Bloomberg and the listed president of DDI claims the company has been around since 2005. Perhaps this is why despite claiming to be a “Global Investment Group!” if you go to their claimed website it shows it is also non-existent. Similarly, a deep dive into MNGA’s much touted MOU partnership with “Afnetco” in South Africa at least shows some company that least appears to exist in some form. However, further research turns up zero website or contact info with only one active employee I could find on Linkedin with a P.O. Box listed as the postal address. But if you call this Mayo shop you will find they do not stock Magnegas. If you push them to explain why, you will receive a short and tense response without detail that they are simply not going to provide any information on why they do not stock Magnegas, just that they aren’t and goodbye. Assuming this place ever stocked Magnegas, where is a press release announcing they dropped the gas and deemed it not worth their time? In fact I called many of their claimed distributors and partners. What I found is that typical stock Magnegas, if it is even there, is ~3-5 cylinders per shop and that they were unhappy about paying for the $5-15 per month tank rental charge on a gas apparently nobody wants while the gas just sits in storage and the distributors pay monthly rent back to Magnegas. Before we conclude this section I’d like to hear a round of applause for MNGA’s “VP of strategic alliances” and close with one final question: what would you say… you do here, Jack? Why Did MGNA’s Technology Fail Before With No Interest? 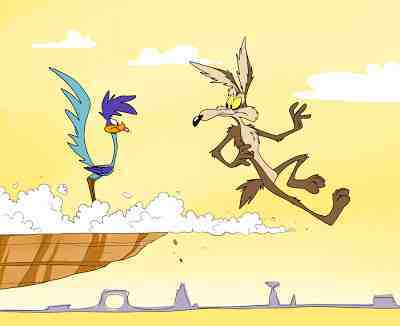 Why The Constant Failure? If you somehow still believe the MNGA story you are probably wondering how this apparent miracle gas and leadership, despite 9+ years and $32m+ of losses so far, has yet to ramp revenue and their claims seem to repeatedly fall through? There are basically two key pillars to the investment case which confused Magnegas shareholders are being fed: the claimed welding opportunity and co-generation. One irreparable side effect of spending virtually nothing on MagneGas R&D since Santilli’s Earthfirst days in 1998, and chasing so many disparate projects simultaniously, is that MagneGas is hopelessly obsolete, left behind by large companies selling superior cutting gas products with truly global distribution and sales. For brevity, I will start with just two examples in this report for now. Praxair is widely known as the global leader in cutting gas. They are now marketing a next gen cutting gas called “Starflame C” which has so many advantages relative to MagneGas I think it will make you laugh out loud. I will also point out here that Praxair (NYSE:PX) spends ~$100m on R&D each and every year. 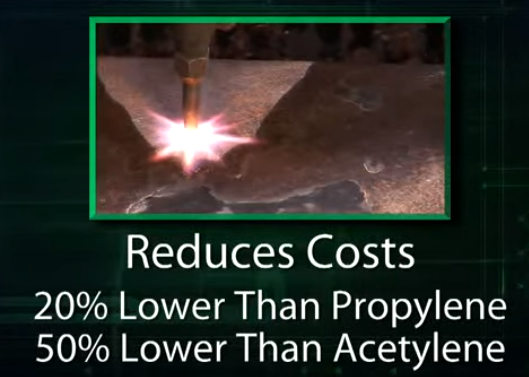 We can start with the easy stuff: first of all Praxair (far more reputable company than MNGA in my view) appears to claim StarflameC can cut as much as a full 50% faster than Acetylene. Magnegas2 distributors themselves claim Magnegas is 38% faster than Acetylene. This makes Praxair’s StarflameC gas an estimated 19.35% faster than Magnegas based on their publicly disclosed performance figures. Starflame C is also -20% cheaper than propylene and -50% cheaper than Acetylene, which since we know MagneGas is MORE expensive than Acetylene we can use the Navy’s independent cost numbers below, means Starflame C is an estimated -79.8% cheaper than MagneGas. It gets even worse for Magnegas because Starflame C also requires only 1/5 the tanks and tank space. This saves capital on tanks, saves shipping and transport cost and time, makes handling easier, as well as reduced hydro certification time and money as well. Furthermore, Starflame C has superior edges and drag lines with minimal slag saving time on post cleanup relative to Acetyelne. Starflame also is more forgiving on torch tip, requires no special training and works with the same regulator as existing tanks. Furthermore, 100% of the Starflame C in a tank can be used, which is in contrast to other gases where a large percentage of the gas is left in the tank at lower pressure. Other tests and videos online also show zero noticeable soot or particulate matter. Perhaps most importantly though, Starflame C is available and supported with service right now today at Praxair shops around all of both US and Canada in cylinder size from 5lb tiny tanks to 10,000 gallon external bulk tanks. It’s not just Praxair though, Petrogen for example has perhaps the most impressive cutting gas product I have ever seen which is so powerful it works even when immersed in mud or underwater. Unsurprisingly Petrogen’s customer list includes everyone from FEMA to DLA to Lockhead Martin (NYSE:LMT). Check out this unreal video of Petrogen’s technology cutting through a ~16 inch block of steel like its butter while available to end users at a fuel cost -91% cheaper than acetyelene. It seems clear to me that MNGA has no hope of competing against companies like Praxair let alone when Praxair is selling an obviously superior product. For lower volume customers are those requiring the highest of cutting power there are many niche players like Petrogen who offer unebelivably powerful cutting tools for sale with fuel prices a tiny fraction of Magnegas’s as well. I will highlight here again that Praxair is a global cutting gas juggernaut with tens of thousands of employees aware of every innovation in the cutting gas indstury as it happens. Magnegas has been touted since at least 1998 and Praxair surely is aware of this inferior product. 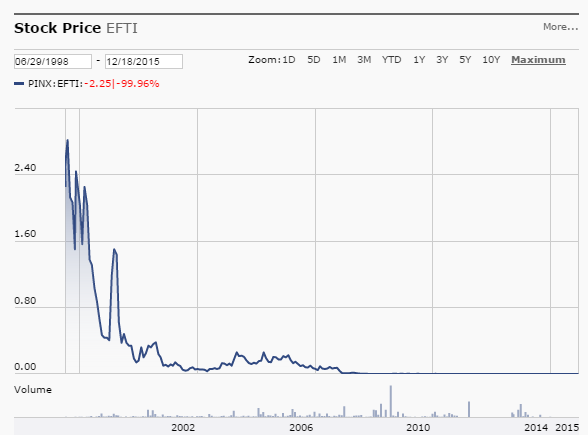 When EFTI was failing in 2001 timeframe Praxair could have easily swooped in and bought the whole business for pennies and, quite tellingly, Praxair passed entirely on any part of it. Given MNGA has been a repeated failure that large cutting gas companies seem to have passed on while MagneGas has failed to generate material revenue, I think the data MagneGas presents is beyond suspect. This is why it is important to read the details when companies like MNGA put out press releases. Just because some subcontractor is onsite at a military base does not mean that the whole military is onboard. 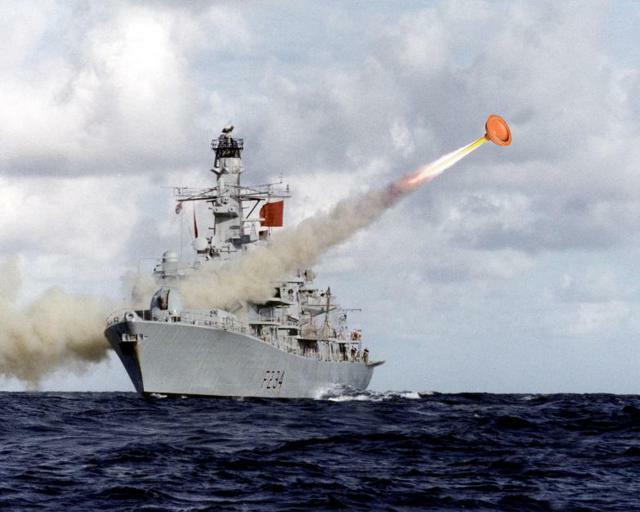 In 2014 the Navy themselves recently tested MangeGas and after their extensive test they chose propane instead. It is crucial to note that in any test, if the people running the test are trying to produce a certain output they can simply tweak the inputs until they get whatever results they want. This navy test is one of the only true independent and unbiased tests done with MagneGas that is publicly available so I present that to you here for your own research. If you read further you will find the navy’s calculations showed Magnegas material per shift was nearly 300% higher than the propane test group as the Magnegas cost itself was nearly 400% higher than the propane which didn’t even come close to offsetting any claimed oxygen savings. Furthermore the Navy stated Magnegas needs to be stored in its own separate locker and cannot be stored near Propane. Since every metal working shop in the nation is likely to have propane on hand we can see this logistical inconvenience is also likely a key reason why the revenue has never scaled for Magnegas. The Navy also further discussed that being hostage to a gas that has only one vendor is also not something they liked (page 41). The results were so conclusive that the Navy didn’t even want to waste their time trying the extra full tanks of Magnegas they had received for free and instead elected to just return it to MNGA full. The jury is out and MagneGas is not competitive which is why revenue has never ramped and why MNGA does not break out their revenue generated from selling MagneGas exclusively but instead lumps it in with other welding product supplies sold from their tiny, acquired ESSI business. Why does MNGA never disclose exactly how much revenue they derive directly from MagneGas sales? How come their “LOI” and “MOU” and partnership press releases are always sparse on revenue numbers? First of all the coal power plant business is a dying one that is rapidly going away, to be replaced with nat gas power plants (nat gas prices at generational lows from shale revolution) and also replaced by cleaner alternatives. Selling into this market at this stage is like selling buggy whips. 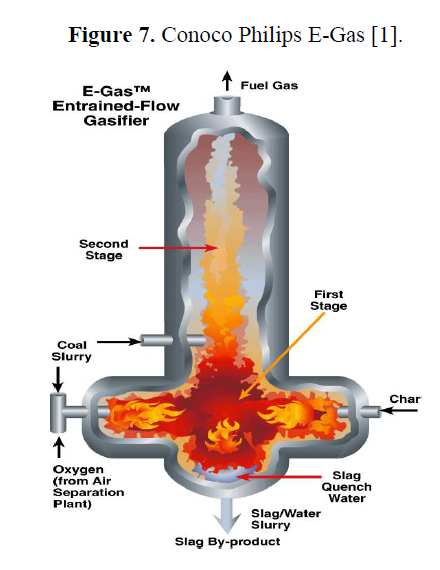 Second of all, the concept of the oxygen blown gasifiers having been around and in use since at least 1987 starting with the Conocco Philipe E-gas gasifier developed by DOW and used at the Louisiana Gasification Technology site from 1987-1995. This concept of oxygen blown or syn gas injected power plants is something the large power plant manufacturers have been selling for years. 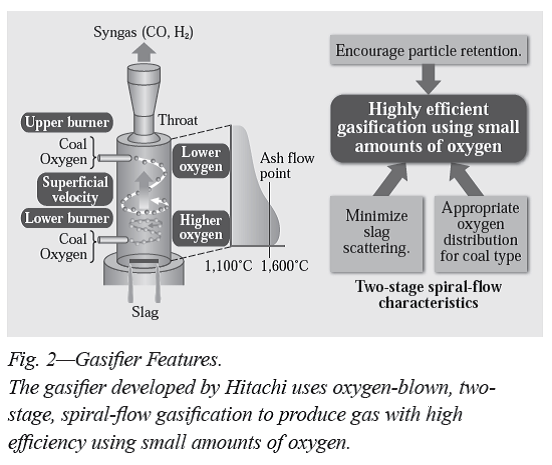 Here are more schematics on a Hitachi setup that also claims to reduce emissions dramatically. Secondly, Magnegas has already failed in this market and, judging by constant delays and issues here, their feedstock apparently does not seem to me to have enough consistency or the high level quality control required by power plant producers like GE and Siemens. If you think GE is going to let some vegetable oil derived gas made by a questionable penny stock wipeout team in a FL warehouse be injected into their $1b+ power plants without voiding service contracts and financing agreements then I think you are clearly delusional. Secondly, the composition of Magnegas appears virtually identical to most syn-gases and even if there is some unique benefit, this gas could and would easily be recreated by Air Products (NYSE:APD), Airgas (NYSE:ARG) or any number of other specialty gas/chemical companies. In fact APD and the gas industry have already looked at many waste to gas solutions and have already chosen their partners, APD for example has been partnered with Westinghouse derived Alter NRG since at least 2009 which apparently had an estimated $100M+ of R&D invested into it, which makes MNGA’s barely $1m of cumulative R&D even more laughable. One of the unfortunate side effects of these “rerun wipeouts” is even if MNGA had anything valuable (nope) it doesn’t even matter because their core patents roll off soon anyway and they already shared their IP with China years ago. As you can see below the core patents MNGA claims start rolling off and become worthless over the next 3-5 years. Considering MNGA is a tiny speculative venture now with minimal revenue, any future upside is based on their multiyear claims of future success. Considering even the faintest of hopes for MNGA shareholders is based on far off future upside, the fact their foundational patents roll off so soon renders any upside discussion for MNGA a moot point. Given MNGA invests almost nothing into R&D, this is not surprising to me. I think the only way MNGA has not gone bankrupt and vaporized is due to the poor retail investors who don’t know any better and pump their hard earned money into this worthless stock. Then the warrant holders convert their warrants or the company does inflated and dilutive capital raises and sell into these retail “mom and pop” investors. After which, the money ends up in the MNGA coffers to be paid to insiders and family members. I believe at some point this promotional pattern will fail, MNGA will not be able to fund itself, and will swiftly go bankrupt where everyone will promptly forget this mess as it joins the corpse of EFTI with countless other defunct penny stock nobody cares about. MNGA’s Auditor Recently Resigned, Was Then Suspended by the SEC: Are MNGA Financials Reliable? One of the worst aspects of the MNGA story to me is that, given these auditor issues and MNGA insider’s apparent repeated failure to file their SEC form 4 filings on time, it is unclear if we can even rely on the company’s financials. The Securities and Exchange Commission today suspended five accountants and two audit firms from practicing or appearing before the SEC after they violated key rules that are designed to preserve the integrity of the financial reporting system. According to the SEC’s orders instituting settled administrative proceedings, the accountants and firms at various times performed deficient audits of public companies, jeopardized the independence of other audits, and falsified and backdated audit documents among other misconduct. The SEC suspension press release does not give details on the specific company audits that were identified as being bad. However, DKM, CPA abruptly resigned as MNGA’s auditor in mid-2015 after over 8 years with MNGA. Are the two issues related? It seems extremely odd that MNGA’s auditors would abandon ship after such a long-tenured relationship while MNGA insiders aggressively sell their stock and craft so many related party transactions. Furthermore, the DKM, CPA suspension (Messineo, the “M” in DKM, was barred for life from auditing on behalf of public companies) appears to be broad and deep in scope. We can see according to Google Maps that DKM Certified Public Accountants appears to be a small and local accounting firm based conveniently close to company operations in Clearwater, FL in between a sports bar and Mexican grill. 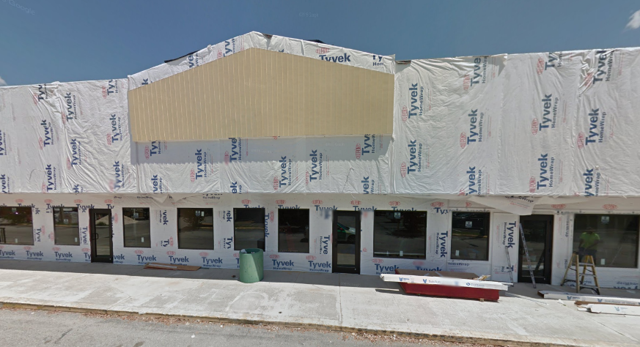 Google shows what appears to me to be an unfinished building in a strip mall. According to Google, the pictures were taken May 2015. Was any serious work ever done here? 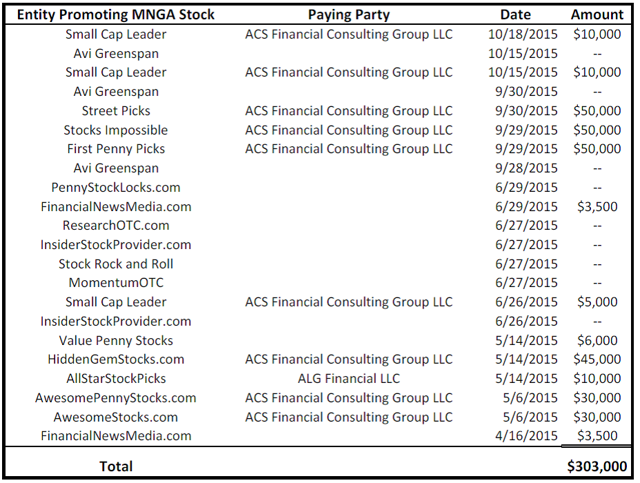 Do You Trust MNGA’s financials? In my view, this is not an adequate place of business for an accounting firm but what’s even more concerning to me is MagneGas paid a mere $55,500 in audit fees in 2014. This number is frighteningly low given the company’s global operations and host of related party transactions, in my opinion. 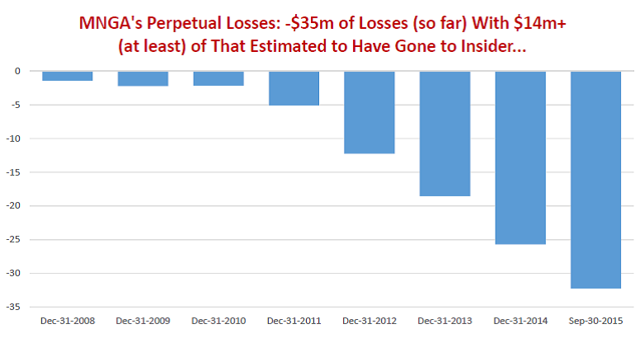 In fact, I can’t ever recall seeing any public company with global operations have audit fees anywhere near this low. According to a Public Company Accounting Oversight Board, DKM only had 8 employees categorized as professional staff, yet they provide auditing services for 41 issuers. How can a staff of 8 sufficiently audit 41 issuers? That same report found several audit deficiencies of such significance among DKM audits “that it appeared to the inspection team that the Firm, at the time it issued each audit report, had not obtained sufficient appropriate audit evidence to support its opinion on the issuer’s finance statements.” I have looked at several PCAOB reports and this is by far the worst one I have seen. Messineo (the “M” in DKM) was also apparently the public accountant for Thunder Energies Corporation (OTCPK:OTC:TNRG), a company controlled by husband/wife duo Ruggero and Carla Santilli. 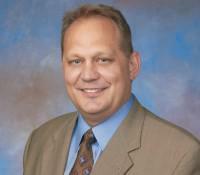 Recall Messineo is now barred for life from acting as public company auditor. Thunder Energies trades for just pennies on the OTC market. Kevin Pollack sits on the board of directors of MNGA. 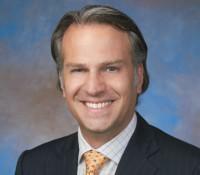 Kevin Pollack was also involved with Lightlake Therapeutics, in fact he was the Chief Financial Officer at the time when DKM was the public accountant for Lightlake Therapeutics Inc. A Lightlake Therapeutics executive was sentenced to 15 months in a securities fraud kickback scheme involving Lightlake’s stock! DKM provided audit and/or accounting services for Bluforest Inc. (OTC:BLUF), which has now essentially gone to zero. DKM provided audit and/or accounting services for Bulova Technologies Group, Inc. (OTCPK:BTGI), also a huge disaster for shareholders. Are the multiple connections between the Santillis, DKM, and Pollack all just a big coincidence? Is it a coincidence that many of the stocks these people have been involved with have basically gone to $0? How do these people keep ending up in the same place together?! Given the SEC bar’d auditors, MNGA insider’s apparent repeated failure to file SEC form4’s on time, near delisting from floundering stock price and failing to hold timely shareholder meetings, I recommend extreme caution when viewing MNGA’s financials as it does not seem to me that MNGA has effective internal controls in my view. Repeated calls to MNGA management and investor relations were made without response or answer. I believe MNGA shareholders deserve to be held accountable to their shareholders and any management team that does not make themselves directly and personally accessible at all times to their investors is a huge red flag. I look forward to MNGA insiders providing a full and comprehensive response to all of the damning research exposed here today as well as how it is possibly fair for the Santilli gang to have apparently granted themselves complete dictatorial control voting control over this public shell. Given the shocking evidence shares in this report I recommend you immediately call MNGA management directly and ask them to explain all of this right away as blanket and unfounded statements from their outside IR team is just not sufficient at this point. Shareholders deserve direct and open communication with this management team, at the very least. One of the side effects from questionable paid stock promotion and questionable partnership announcements from MNGA is that MNGA’s valuation is clearly impossible based on any optimistic scenario you can craft. Even in MGNA’s wildest upside dreams, MGNA stock is STILL impossibly overvalued at the current $120m valuation. One important valuation point to first make is MNGA seems to me to conveniently exclude a full 16.1m additional shares of warrants and options when they display their diluted share count on their income statement. This has the interesting side effect of understating the market cap that Google and Yahoo finance shows to retail shareholders. Since MNGA loses money hand over fist, I don’t see how excluding these is fair. I have made the appropriate estimated adjustment for this enormous wave of warrants and options in my own valuation which brings the fully diluted share count up from the last press release to 61.09m, which based on the stock price of $1.98 means MNGA market cap is temporarily near the highest it has ever been, before the previous MNGA stock price collapse. As we can see below, generously assuming all of MNGA’s R&D spending has created value (100% R&D success rate) and assuming MNGA will not burn through anymore cash (MGNA lost -$2.215 in the last quarter) calculated fair value for MNGA of $0.14 per share. 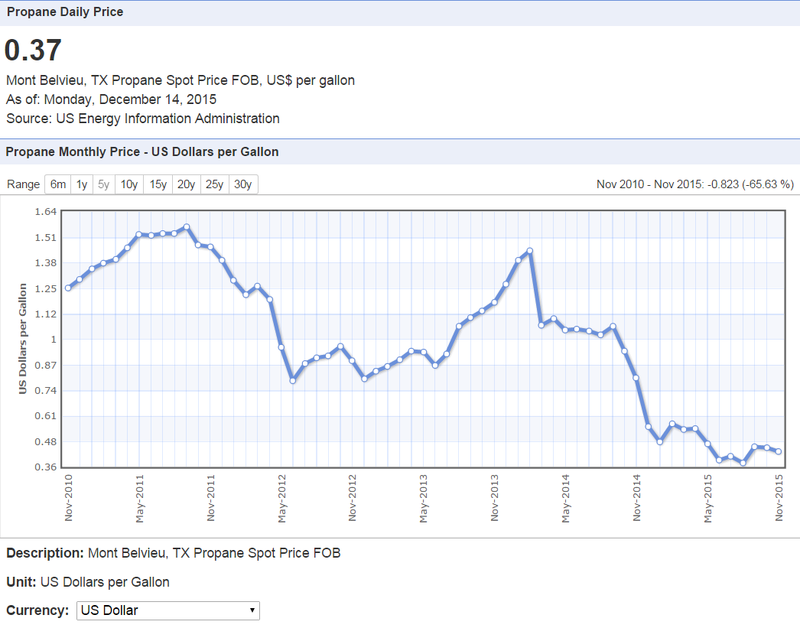 Note that on a market cap basis this is not far off from where MNGA stock was recently at the end of 2013. If we take some of the other unviable companies that MNGA longs have used as peers for MNGA we again see that MNGA stock is -87.14% overvalued, which I believe is also optimistic since I believe these two peer companies, while superior to MNGA given less nepotism enrichment and no insider iron-fist voting control, are still intrinsically worthless. This is just another rerun of the last time MNGA temporarily was inflated to an obviously unsustainable valuation, and subsequently had a violent -93.8% collapse. Interestingly, this -92.90% loss for MNGA stock is actually not even as bad as many of the shareholder disasters this wipeout team has been involved in. I expect this new MNGA collapse that is occurring to be similar to the last one, which simultaneously lines up with the fair value per share MNGA has of $0.14 per share. Given we know MNGA insiders and Carla Santilli have been aggressively selling MNGA stock since at least $0.82 per share. As you can see above, MNGA stock chart has already broken down technically and pulled back hard off of the latest intraday high stock price of ~$2.35 (where presumably the warrant holders were apparently exercising and selling the stock aggressively). As the paid stock promotion fades and investors realize what is truly going on here I expect MNGA stock to continue imploding back below its pre-promotion price on its way to $0.14 per share. I believe MNGA stock is collapsing now as paid stock promotion fades. Even if you ignore 30+ pages of MNGA red flags above, there is STILL -92.90% immediate downside in a “best case” scenario based on valuation alone even if MNGA is valued similar to obviously superior peers. More likely I think MNGA stock will go much lower on its eventual way to $0 given its increasing irrelevance from negligent R&D, worthless technology and partnership claims along with abusive insider enrichment. MSDS and Navy data shows “MagneGas!” seems to contain nothing unique anyway and even in the off chance people ever use this gas I see nothing stopping Airgas or Air Products from simply producing the same gas themselves and selling it without MNGA. With MNGA stock breaking down now off recent highs and paid stock promotion fading, the end for MNGA seems near. MNGA was recently a $0.44 stock and now with a much larger share count as partnerships apparently crumbling, I expect the stock to go much lower on its long term path to bankruptcy and $0, like predecessor and Santilli company EFTI. Not that I expect this to impact the Santillis and MNGA insiders though as I expect they will get paid another $14.1m with huge stock grants while racing Ferraris until shareholders pull the plug and the doors are finally closed for good. Given all the red flags, questionable people involved, self-enriching nepotism and complete control seized from public shareholders and given to the Santilli family, even if you wanted to speculate in tiny long shot industrial gas companies you can find something better to invest in than MNGA trading at 114x revenue. Editor’s Note: This article covers one or more stocks trading at less than $1 per share and/or with less than a $100 million market cap. Please be aware of the risks associated with these stocks.